In most countries health ministers are seen as bureaucrats more interested in paperwork than medical miracles. Not in Madagascar, where Mamy Lalatiana Andriamanarivo recently picked up a scalpel and separated conjoined siamese twins in a medical first for the Indian Ocean island nation. 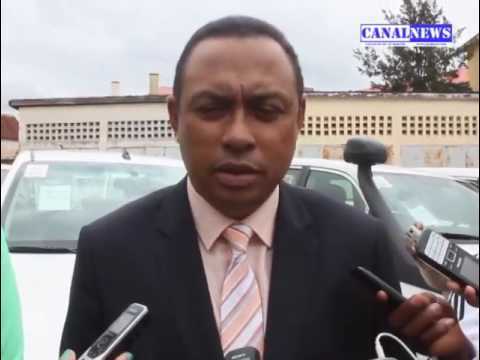 Jean Marie Rasamimanana, the deputy technical director at the hospital in the capital Antananarivo, told AFP on Tuesday. “The separation of the five-month-old twins, Mitia and Fitia, who weighed 13 kilograms (29 pounds) and were delivered by caesarian section, involved the separation of their liver, ribs and diaphragm,” he said, adding that the pair were doing well following their operation. The surgery was a medical first for Madagascar. A medical team from the country successfully separated siamese twins in 2009 but because of a lack of equipment in the island’s hospitals, the surgery was performed in Paris. Andriamanarivo, the minister and pediatric surgeon, reportedly praised the breakthrough and said it would save the island’s medical system a small fortune as a comparable surgery would have cost 100,000 euros ($120,000) if performed overseas. Madagascar is one of the world’s poorest nations and more than 90 percent of its 25 million people live on less than $2 per day. Almost half of under fives suffer development issues.